Starting this module of the course moves us more into people and how they fill space. It is obvious that when a person fills space within an image it gives us more relevance and able to relate to a place, even if we have not been there. In this exercise we are asked to produce an image with a person in it at distance so that the scale of the image can be realised. Although the notes associated with this section suggest that the figure can be a surprise fore the viewer in having a delayed discovery time for the viewer, it should be fairly obvious. For my choice I took this image in autumn over the Ashdown Forest and although the figures are not a surprise I feel that this captures the essence of single small figure. 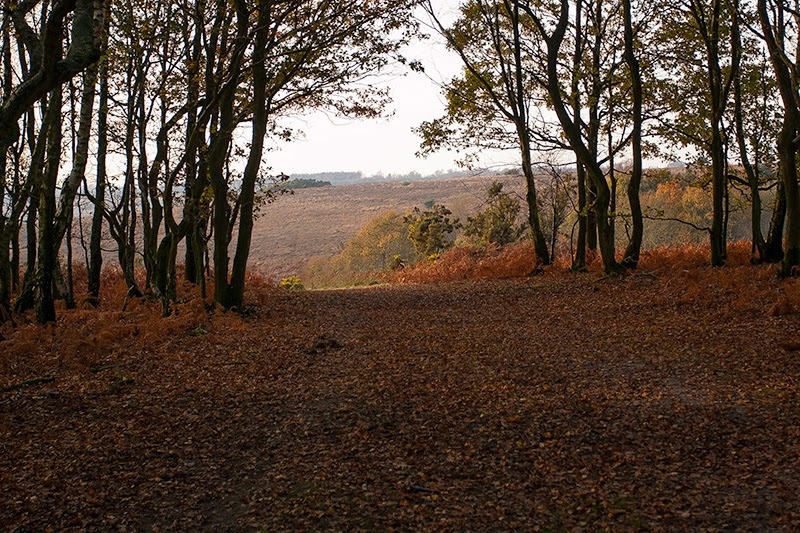 I was lucky in capturing this one with the autumnal colours and the tree line acting as a doorway. This is something I have never considered to give scale to an image, without this figure the image would certainly not appear to have as much space as it does as shown below and certainly lacks interest.